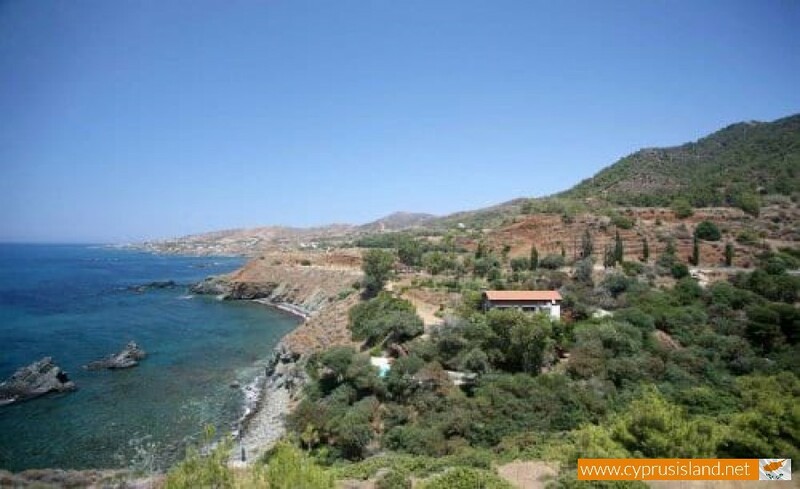 The community of Pomos is located 60 kilometres northeast of Paphos in the geographical district of Tillyria. 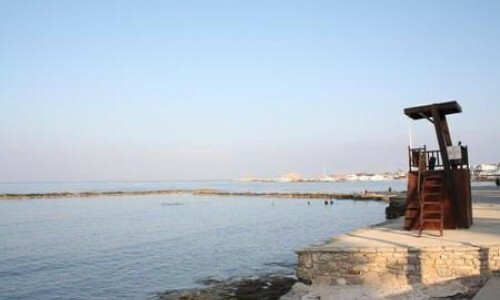 The village is built next to the sea, at an average altitude of 10 metres. 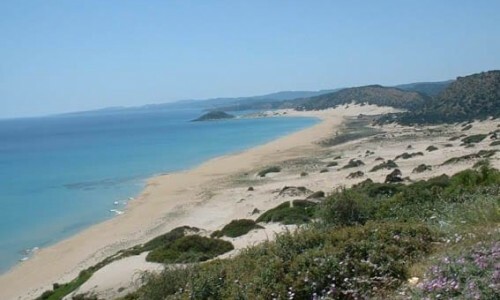 At a distance of about two and a half kilometres the altitude reaches 600 metres and at a distance of about five kilometres southeast of Pomos the altitude is 670 metres at Lorovounos. 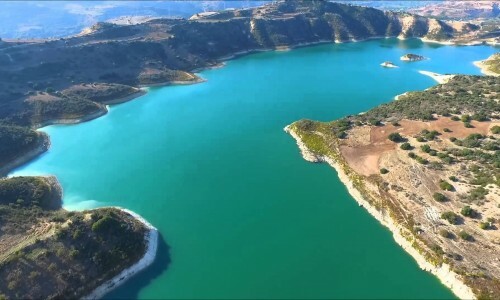 Pomos has an average yearly rainfall of about 440cm and in the area citrus fruit, bananas, almond trees, avocados, walnut trees, olive trees and some vegetables are grown. 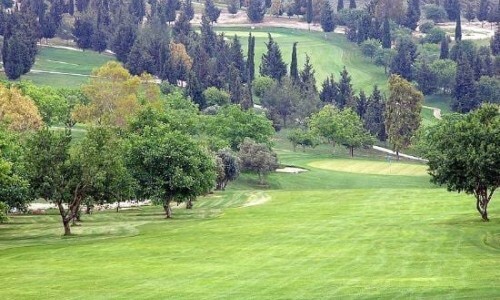 In the area there are many uncultivated pieces of land which are covered by natural vegetation such as pine trees and thyme. 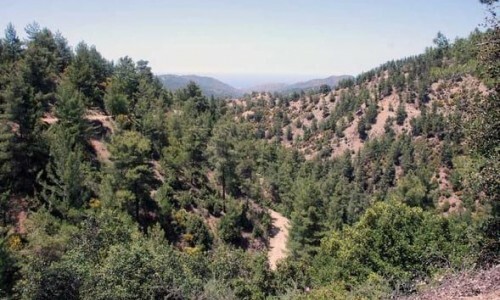 The south part of the village is included in the Paphos Forest. 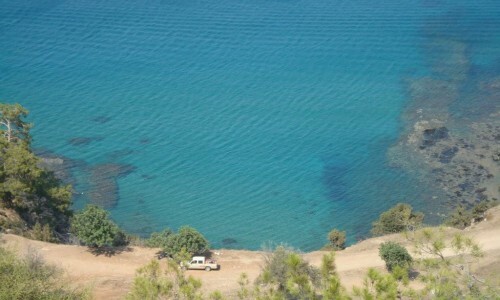 From a transportation view, Pomos is located next to the road of Polis-Xeros. This road is connected to the northeast with the village Pachiammos (at five kilometres) and to the southwest with the village Nea Dimmata (at five kilometres), and with Polis (at 20 kilometres). To the north of the village at a distance of 2 kilometres is the Acrotiri of Pomos, which took its name from the village. The road from Polis to Akron Pomos is considered to be the most graphic path in Cyprus. 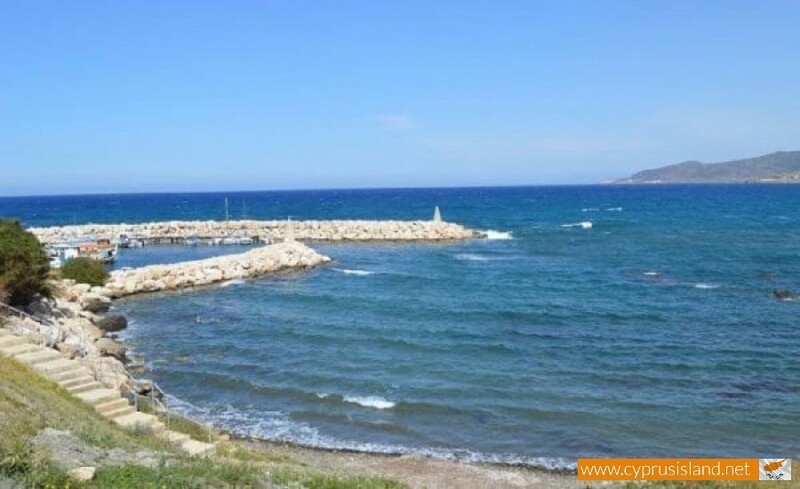 The village is included in the irrigation project of Chrysochous from which it has benefited in its second phase, with the irrigation of other important pieces of land in its beach area. Its sea location assisted in its fishing development. 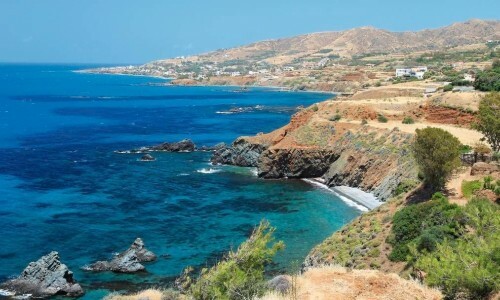 In the sea area near the Akron of Pomos there is a fishing refuge which hosts the fishing boats for the residents in the area. The village met a continuous increase in population. In 1881 the residents of the village were 183 but 100 years later they increased to 543. During the last inventory they had increased to 568. The village existed with the exact same name during the medieval years, in old maps and was marked as Pomo. Some researchers write the village as Pomos which cannot be explained. The correct name seems to be written as Pomos as the name of the village is considered to have Greek origin from the word vomos (meaning altar). It is quite possible that during antiquity there was a temple of some of sort of goddess (possibly Aphrodite) with a famous altar. In the area of the village there is an archaeological area of Prehistoric years which hasn’t been complete studied. 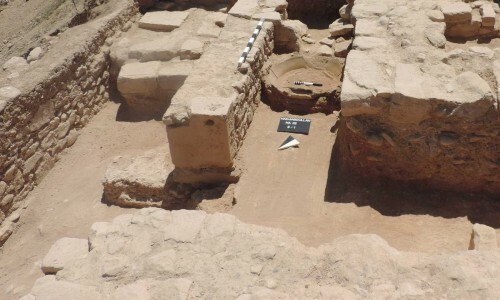 There is also the theory that in the same area there was a legendary Cypriot ancient town called Kallinousa which does not agree with the ancient sources and therefore cannot be supported by the archaeological research. 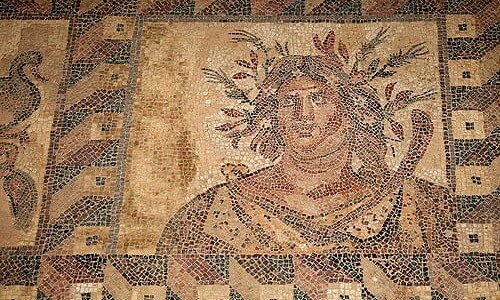 The only source that shows that this town may have existed, is the ancient name of the Pomos cape, which Claudius Ptolemeos called Kallinousa. 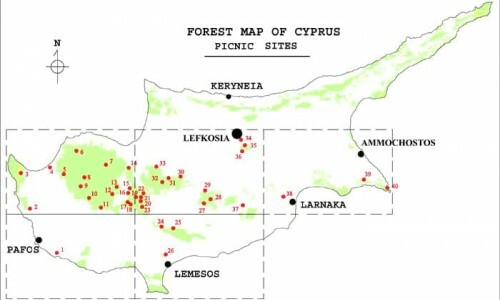 Some old researches such as Archimandrite Kyrpianos correlate Kallinousa with the ancient Cypriot town of Alexandrian which is marked as Alesandreta on medieval maps, in the area of Pomos. After existing indications it is concluded that there were ancient settlements near the area of Pomos however they were not important cities. Therefore the ancient possibility of the village name is excused. 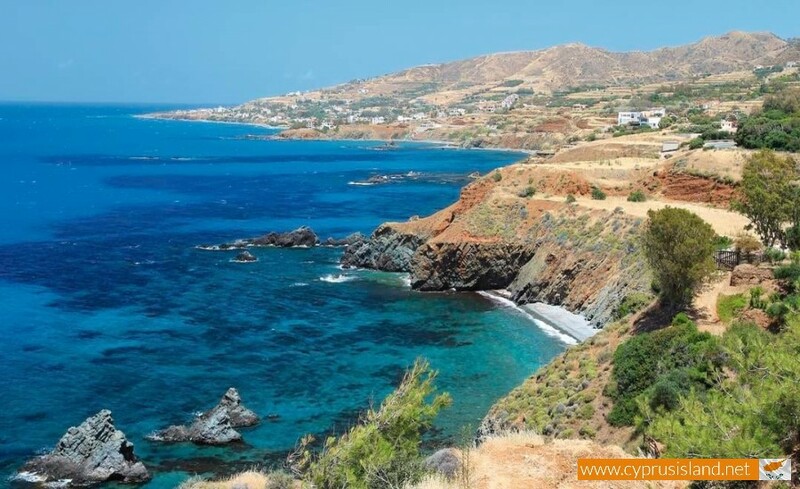 The area of Pomos is also connected with the possible arrival of Agia Eleni in 14 A.D, when the mother of Constantine the great had visited Cyprus. Again there aren’t any sure indications apart from the fact that near Pomos there was also another settlement (during the Byzantine and Frank period), which was called Agia Eleni. 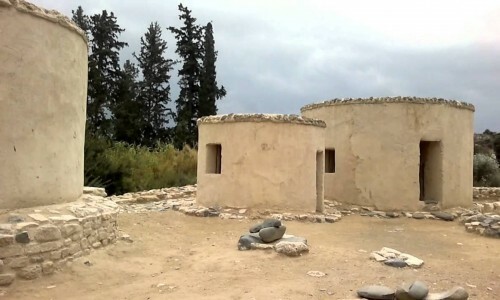 This settlement is also located further to the north than Pomos and must have been destroyed during the ruling of the Turks. 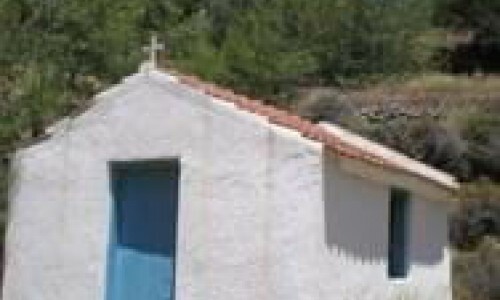 The Virgin Mary is greatly worshiped in the village of Pomos. 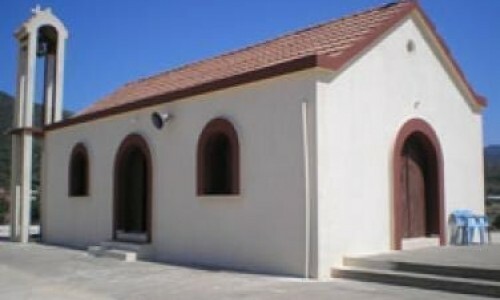 There is also a small monastery dedicated to Panagia Chrysopateritissa. The monastery is located about 5 kilometres northwest of the where the settlement is today. Today only the church exists, which was renovated by the department of antiquity. 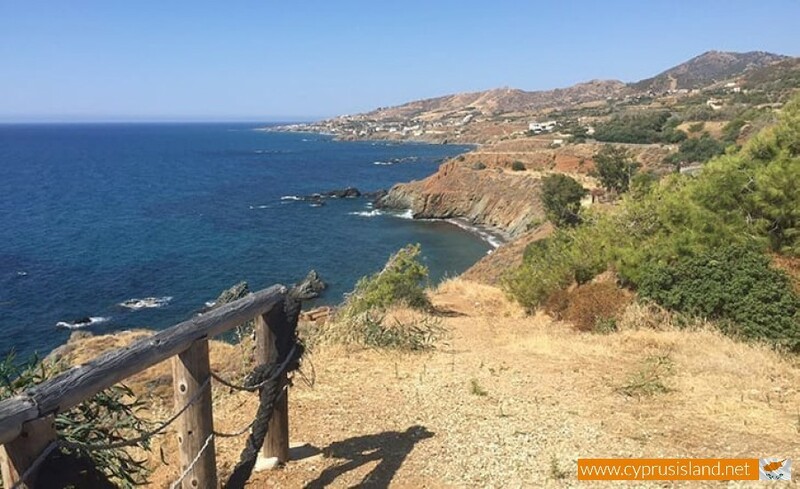 A visit to the seaside village of Pomos, is an unbelievable experience. There are many places in the village which are worth seeing and admiring. Apart from nature, the mountains and the sea which form a fantastic background, humans have also added their touch making it a unique and special village. The pathway from the neighbouring village Nea Dimmata until the Pomos cape is one of the most graphical pathways in Cyprus. The mountain nearly fall vertically on the sea while the steep slopes are covered with pine trees. Visiting the area today you will encounter newly built villas and a unique restaurant which serves the tourists. According to tradition, ships had arrived in the area and robbed it. In this cave there was a dragon who protected the area from anything bad. It is a rocky area with an opening towards the sea, a few kilometres from the port towards the cape. The cave has a depth and sweet water comes from the cave. 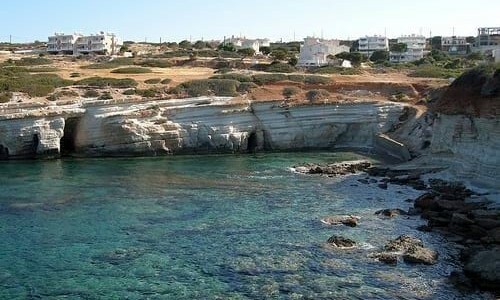 Pomos cape as it is known, is located in the area of Tylliria, about two kilometres north of the village to who is owes its name. 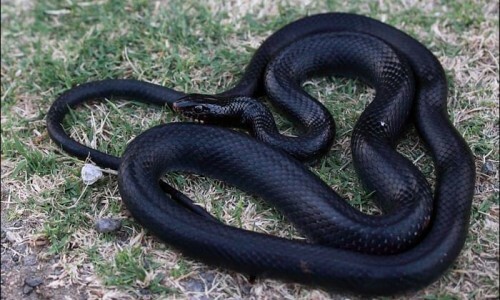 Its name is given because of the hard stone which surrounds it and which also survived the corrosive energy of the waves. 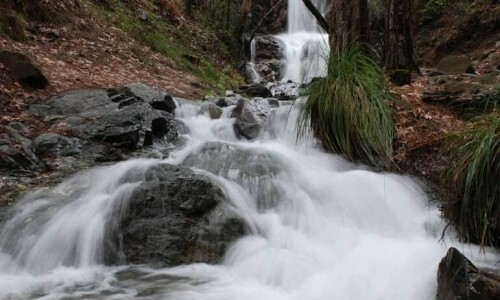 Pomos has an average annual rainfall of 440 cm. 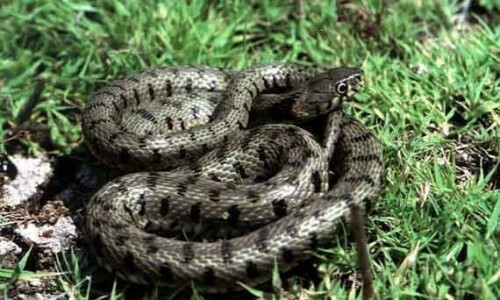 There are many uncultivated areas which are covered in a variety of vegetation, mainly pine trees and thyme. 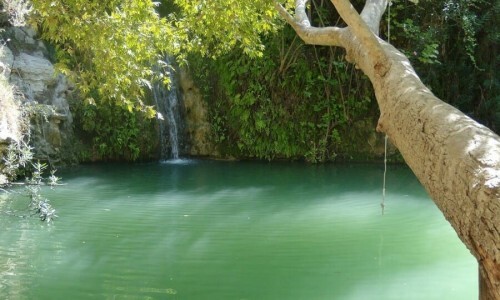 A part of the Paphos forest, towards the north of the village falls in the borders of Pomos. 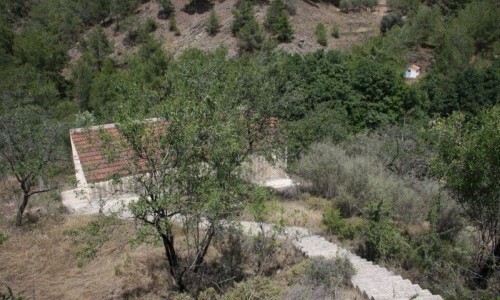 Part of the forest has been adapted for accommodation and resting during the weekends.